Art. Fashion. Music. Culture. It’s time to break the boundaries between mediums and create a world of fluid collaboration where art, sound, style, and culture work together to create the future of creativity, and Future Rising is just that. 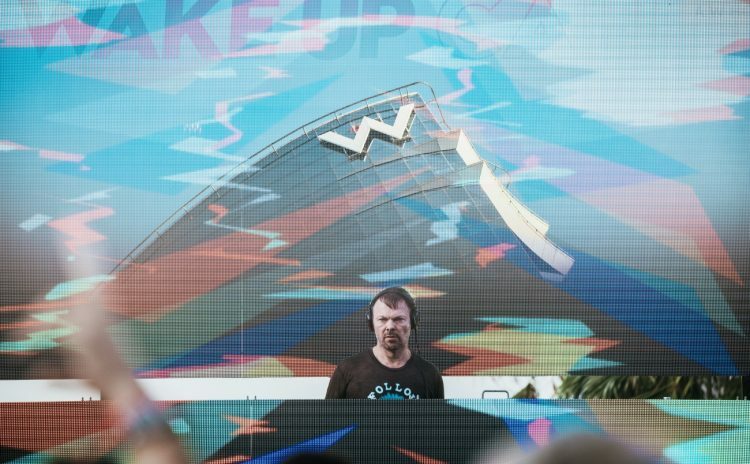 The second year in a massive collaboration between the next generation of talent and Mixcloud, Future Rising showed it all off at W Hotels around the world. Before we roll out exclusive coverage from this year’s Wonderland-themed events, from music videos to fashion collaborations to unmatchable parties, we introduce the faces of Future Rising and hear how they are making the next generation unbelievably bright. 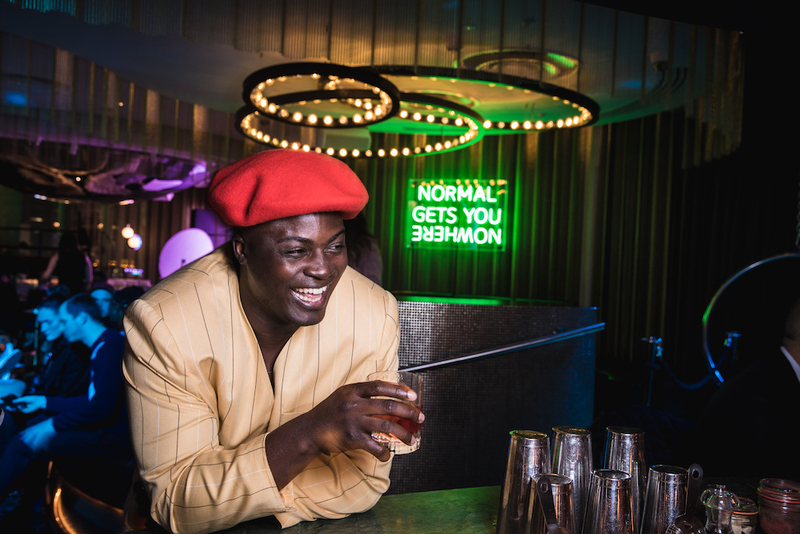 The Manchester bred chart-topper, Bipolar Sunshine, brought his tropical house trap sound to Future Rising’s lineup, celebrating his new mixtape “Easy To Do” with three exclusive music videos made by Future Rising talents Mollie Mills, Raine Allen-Miller and Matilda Finn. When great style meets unmatchable musical power – that’s the sound of the future, making a sound at W London and W Amsterdam. What are the main influences on your music and how do you make that sound unique and part of the future? Bipolar Sunshine: My first influences would be the music my mum played around the house, like the Carpenters and Sugar Minott. MTV Base was always on rotation in the household and I always listened to and was into artists with their own voices and mind. I loved the artists that had something to say about the conditions they live in or have seen, for better or worse, like Morrissey, 2Pac, and Ella Fitzgerald. Also, I have mad love and am very influenced by N.E.R.D., Yeezy, and Outkast. To be honest, it never stops because I try to listen to as much music as possible as I’m always learning new things. I have also been recently stuck on João Gilberto. My friends and family around me are a huge influence and that’s how I see the future of sound and arts. I feel you can only create for the future since everything else is irrelevant. How does your city inspire you and push your creative process? BS: I’m inspired in so many ways the people, culture, weather and most of all my family, friends, and having two great football teams! Now that I live in LA, I see all the great things about where I’m from a lot clearer. I see a bright future for Manchester, as so many artists (not just musicians) are really starting to flourish and push the envelope of being a part of a new city with new ideas. What was the most exciting thing about your event? BS: Getting to share a room with so many creative and talented people is a major plus for me. I had never worked with any of these directors before but they were all so sick at what they do, so I was inspired by them. Good energy is a big thing for me, if the energy is good it will be a great event. Also, I got to play a few of my new songs for the first time so it was super special. 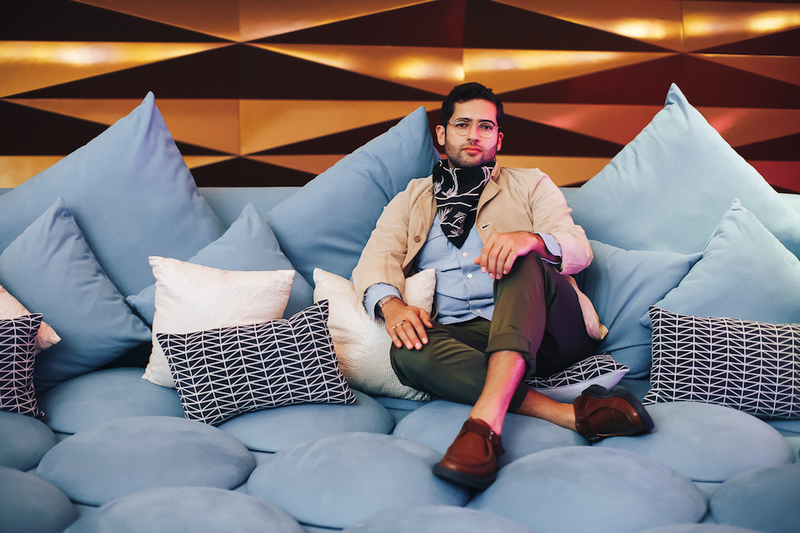 DJ, producer, late-night man of the town UNER thrived in his 24/7 city of Barcelona, turning up the heat at W Barcelona‘s Sound Suite and throwing an unforgettable party celebrating the Future Rising sound. What are the main influences of your music and how do you make that sound unique and part of the future? UNER: I’m a pianist. I started studying classical piano when I was 4 years old. I completed my tutoring several years later, adding harmony, composing and chamber (as well as music theory and transcription). Those were hard working years, very intense but also filled with joy. The musical training has always helped me, most of all because part of my work is developing a good harmonic base. I started with the classical musicians, and my parents have always enjoyed music as well. Especially my father. He was melomaniac. My home’s soundtrack ranged from Status Quo to Mozart, New Order or Jean-Michel Jarre. It was the latter who sparkled in me the curiosity towards electronic music many years ago. How does your city inspire and push your creative process? 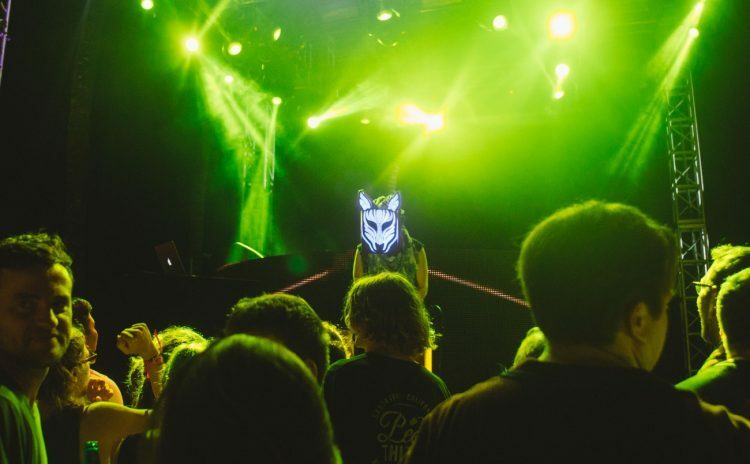 U: I grew up in my city, Lleida, which is very close to one of the best clubs we have in Spain, Florida135, and very close also to one of the biggest festivals we had in the country, Monegros Desert Festival, so of course my start was as a raver since I was surrounded by techno. But the music I produced was much more melodic. What I do is a mixture of the influence of Jarre and the raves I attended. What was the most exciting thing about your event. 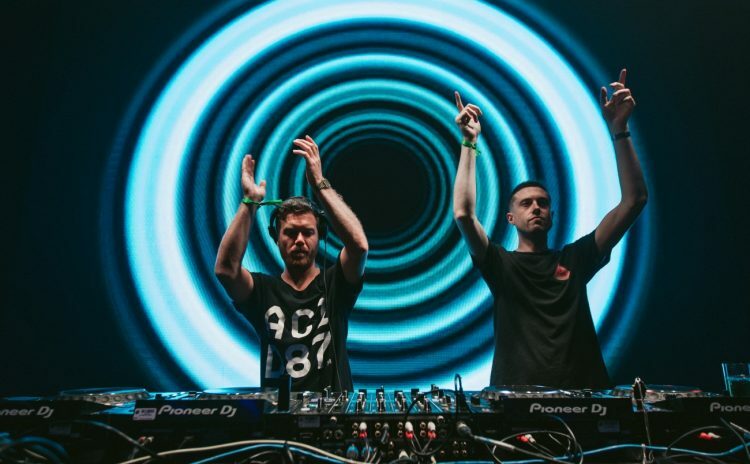 U: I’m always excited to show people work, how we are and what we do outside the DJ booth. I love to have the opportunity to share knowledge with other artists and learn from each other. 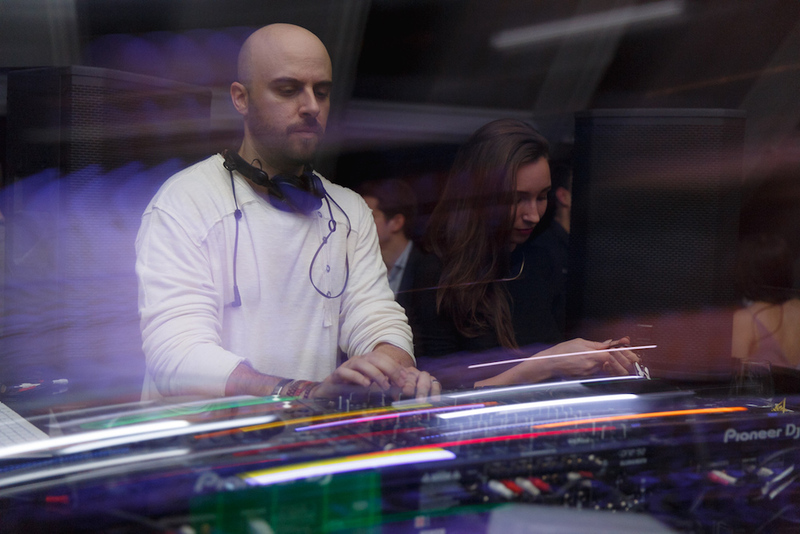 As editor-in-chief of the international biannual arts and culture magazine, 212, Heval brought a slew of talent to the Future Rising community, opening up the doors between countries and cultures with engaging talks, collabs, and star-studded parties at W Istanbul. What are the main influences of the magazine? 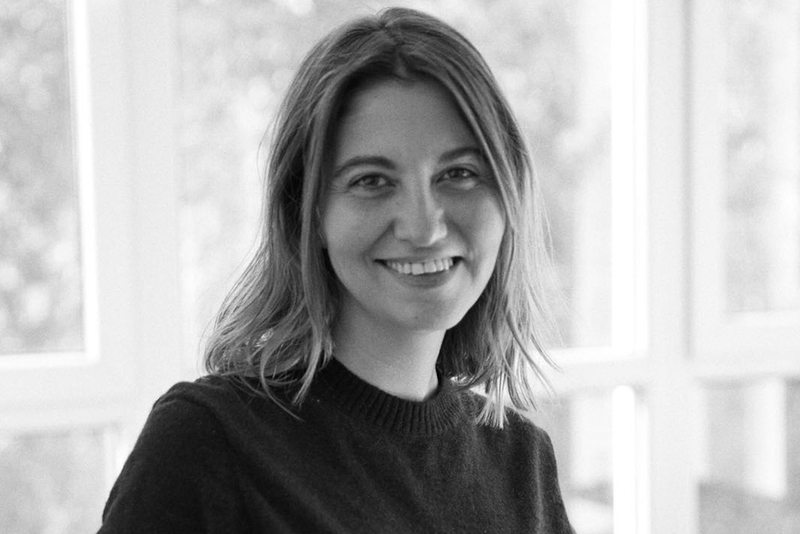 Heval Okçuoğlu: Photography and creative writing are the core influences of what we do at 212 Magazine. We always aim to out-do ourselves and bring together a better curation with each issue. 212 is created in Istanbul, printed in Milan and distributed from London to the world, and that’s also what makes it unique besides the original content. Supporting talented newcomers and creating an international artistic and cultural value coming out of Istanbul is how we believe we contribute to the future. HO: Istanbul is a passionate city of the extremes and its ability to nurture all the different colors, tastes, sounds, and energies can give one the idea that anything is possible. It demands you to push yourself and let go at the same time. It’s a heady combination that contributes the creative process in the most unexpected ways! A scenic early morning commute to Bosphorus is the best way to wrap your head around your thoughts in this wonderful city. What was your favorite thing about the Future Rising event? HO: Listening to Nusaibin live in all its glory. A Palestinian designer brought up between Montreal and Doha, Faissal’s contemporary Middle Eastern designs bridge traditional artisan work with modern design. Open minded and always creative, he was the perfect talent for a video collaboration with local artists and musicians from Dubai, who together imagined the future as a safe space. What are the main influences of your work and how is it unique and part of the future? Faissal El-Malak: I am mainly influenced by Middle Eastern culture both historical and contemporary. Although nostalgia plays a big part in my work it’s always looking towards the future. The challenge is to take all of the references and traditional crafts and make them relevant today and, more importantly, to giving them a new breath of life to sustain them for the future. I like the idea of “retro-futurism”; it illustrates the way I create. FEM: Dubai is such a vibrant and cosmopolitan city. It’s a unique place where everyone can feel at home and notably comfortable enough to wear their traditional dress. This makes for a true visual feast! Moreover, the city is famous for its many world records and has a high energy and drive that pushes you to do your best. It’s one big success story that you are bound to be a part of and contribute to. 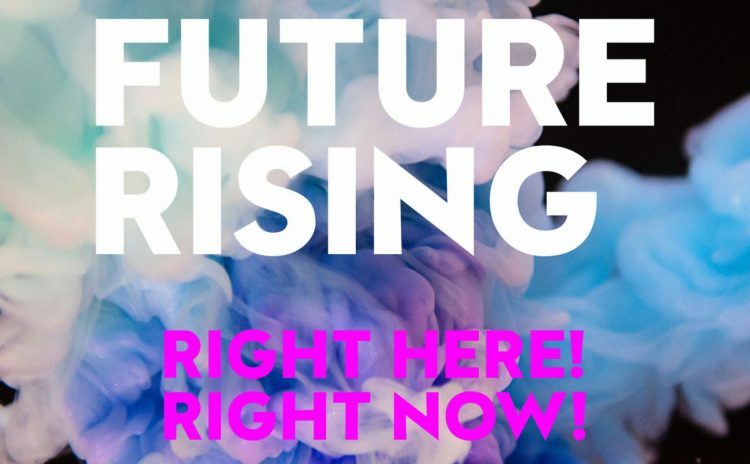 What were you most excited about at the Future Rising event? FEM: I was most excited about the film Amirah Tajdin and I made! It pushed me to explore the world of traditional music in the UAE and in particular those played by women. This film is a testimonial to the vibrant creative community that we have in Dubai. I feel lucky to be part of such a supportive group since moving here three years ago. It was also the first time I showcased my new Fall-Winter 2018 collection right before flying to Milan to participate in Fashion Week there. 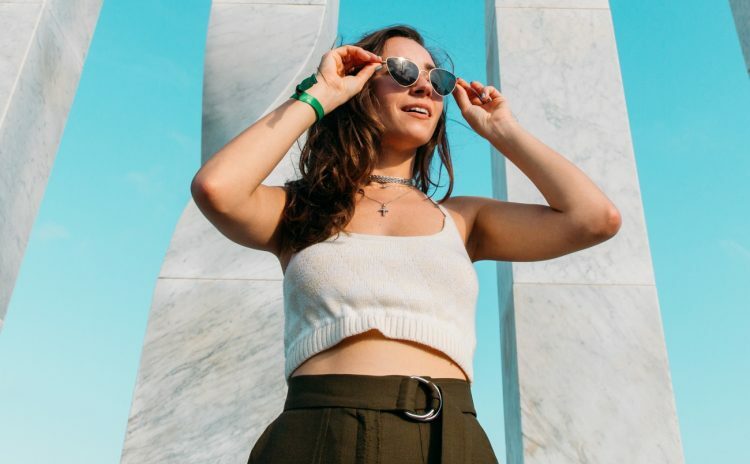 Fashion isn’t just about what you wear, it’s about the way you see the world, and for fashion curator Gregory Roberts, the world looks best through rose-colored glasses. 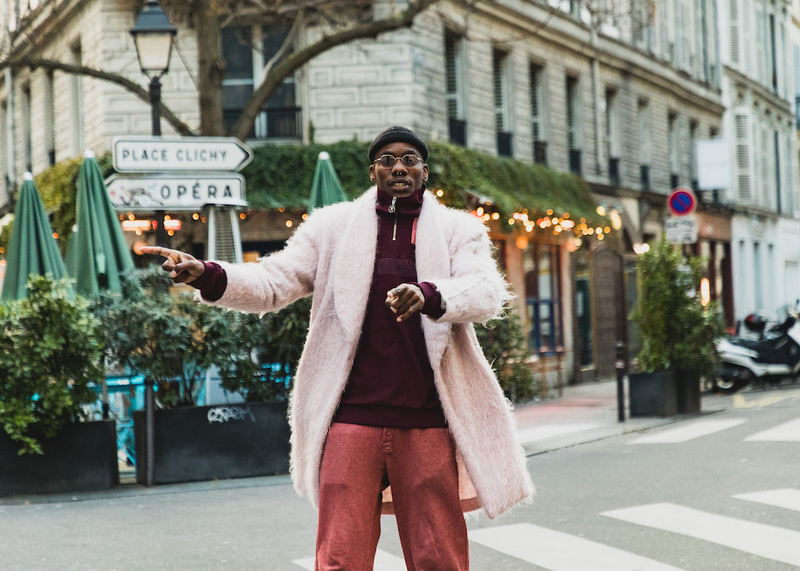 Always dressed in pink, the head of Flower Boy Collective, showed us Paris through his eyes and threw a party that embraced the love at W Opera – Paris. What are the main influences on your work and how is it unique and part of the future? Gregory Roberts: The main influence on my work is LOVE. Love makes me dream and when you dream you can do what you want. This is the future, believe me! GR:I love to see Paris in the morning – how Paris awakens. The sensations at this time of day are so unique that I fall in love. I believe in real things such as touch, sight, sensations, words and human exchanges that increase my creative process. What was the most exciting thing about your Future Rising event? GR: Sharing my vision and my culture.